Lisa Haas Panitz has been designing with style, quality, ease, and grace for years. After a decade as a member of the Ralph Lauren design team, Lisa began designing homes and founded LHP Design 16 years ago and continues to pursue interior design. LHP Design is a full service interior design firm that creates residential and commercial environments that are comfortable and functional yet have a sense of individual style. LHP Design services range from complete renovations, new home design, move in services, seasonal home styling, to special projects. Lisa has a full team that provides all services and suppliers necessary to bring every aspect of a project to completion. LHP’s clients enjoy the ease of the working relationship with Lisa and the hands on approach she provides while always staying aware of the quality and style of the whole project. 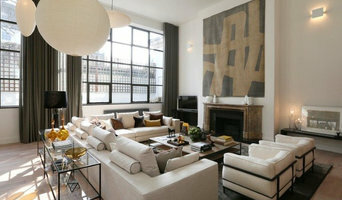 Lisa is also an allied member of the American Society of Interior Designers. With a modern and classic sense of style, Lisa has worked with her clients to create homes that reflect their lifestyles and tastes. She has a passion for texture and color as well as an appreciation for clean lines. Lisa is known for mixing authentic classics with modern pieces and simultaneously creating a feeling of warmth, comfort, and function. New York design studio working with both residential and commercial clients and budgets of all sizes. Our design approach is rooted in modernism and specalizes in working with high-end European suppliers and artisans. Jessica Gething received her design training in London and is influenced by British, Scandinavian and Belgian interiors. Rachel Belden Interior Design, LLC, established in 2003, is a full service interior design firm dedicated to customer satisfaction. From our initial meeting, I begin to collect each client's thoughts and tastes and begin to stretch their imagination; together we create a comfortable, yet timeless interior. I take advantage of a wide selection of home furnishings which bring uniqueness and variety to each project. Close communication, patience, a sense of humor and attention to detail are my trademarks. I work closely with clients to clarify objectives and set priorities. This collaboration helps clients avoid costly mistakes and allows us to focus effectively on creating interiors that enhance their lifestyle. Fernando Ferraz Interiors is a residential interior design firm with projects in the United States and around the globe. Our full-service firm specializes in high-end residential projects that draw inspiration from nature, art, and imagination. Our New York-based design team is dedicated to meeting the needs of our diverse clients. We bring innovation, professionalism, and quality to every design project and we understand that our clients have different needs, budgets, and perspectives. With this understanding, we work with each client to combine his or her own personal style with our unique vision, skill, aesthetic and experience to create luxurious environments that are refined, comfortable and sophisticated. At Fernando Ferraz Interiors, we also understand that our clients come to us for complete design solutions for everything from challenging spaces in city apartments to open floor plans in spacious homes. To make sure we meet our clients’ needs and exceed their expectations, we take each one step-by-step through the design process of interior remodeling, construction, and interior finishing. We also enhance our work with cutting-edge technology and access to the finest materials and furnishings. We hope that you will give us with the opportunity to provide you with the interior design solutions you deserve. Sarah Ponden Interiors is a full-service interior design firm specializing in residential projects. Jobs range in size from one room to whole house renovation and new construction. CREATIVE DESIGN SOLUTIONS (CDS) has the ability to deliver high-end design at affordable prices. Our goal is to provide both a superior customer experience and tremendous value for our customers. CDS serves clients in Fairfield County and CT Shoreline. If you are remodeling or building an addition, landscaping or putting in a new pool, redecorating a room or selecting window treatments, your project will be expertly handled. 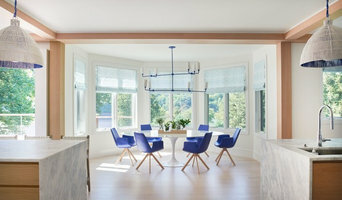 Attention to detail, thorough research, and a complete network of licensed and insured contractors give CREATIVE DESIGN SOLUTIONS the unique ability to deliver high-end results at affordable prices. Lena Lalvani shows meticulous attention to detail, combining an eclectic and artistic approach infusing vibrant colors, textures and patterns. Lena's Interior Design approach is focused around curation and bringing together various styles to create something special and unique. She incorporates storytelling with items that have a personal history in order to express the personalities of the people who live in the space. There are no limits. She understands that there shouldn't be any rules to design, just create what's beautiful and comfortable and find what you want to surround yourself with. The only style that really matters is your own. She specializes in custom paint techniques to enrich and personalize a space. She has an innate sense of space saving and organizational ideas to maximize any home environment to reflect one’s personality and lifestyle. Based in Tribeca, NYC, Lena has lived in New York City for the past 20 years and before that, in Pacific Palisades, CA and Brussels, Belgium. She has traveled throughout Europe, the Middle East, and Asia for work in fashion and for personal, and she incorporates her worldly finds, textiles and art in her own home decor, always evolving as her life changes. She has previously worked in NYC’s Fashion Industry for Ralph Lauren, Calvin Klein and Nautica, designing Knitwear/Sweaters. She also paints and sketches and enjoys Photography.